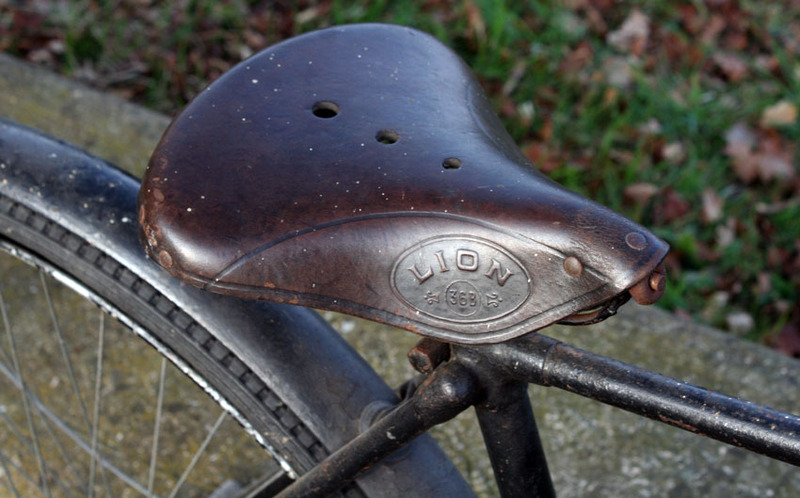 I purchased this Peugeot Lion from a friend who had owned it for thirty years. 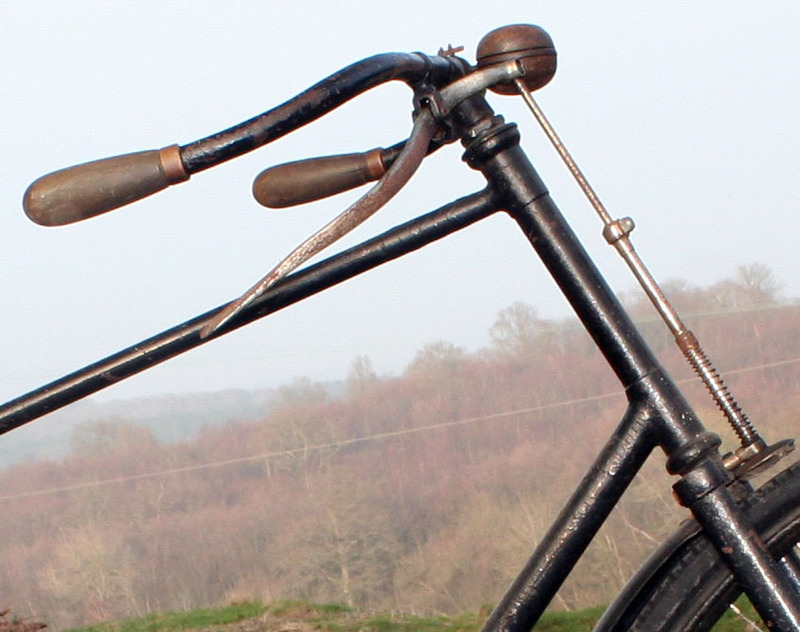 One problem with Victorian bicycles is that most were built for tall people. 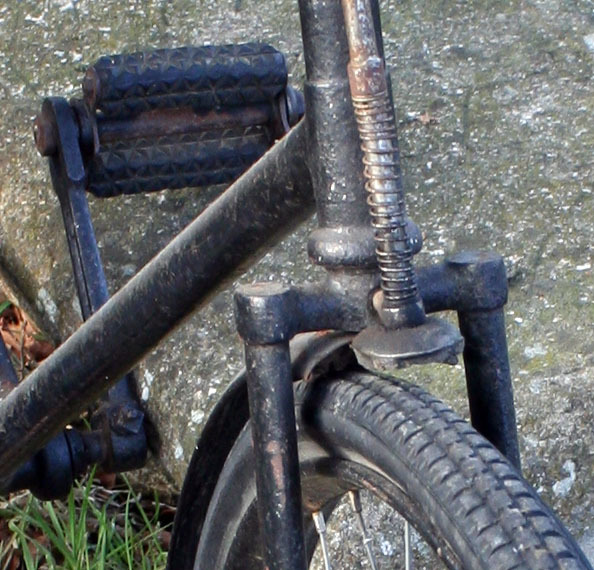 So I’ve had to get used to riding much taller bikes than were built for my height (5′ 8″ with inside leg 31″). 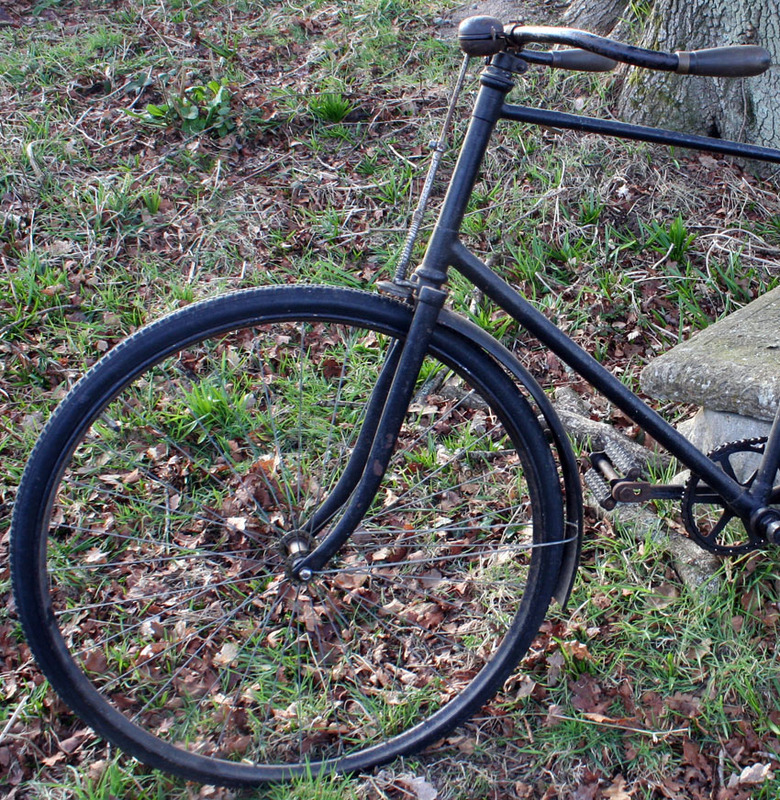 This is a rare lower-framed Victorian safety bicycle. 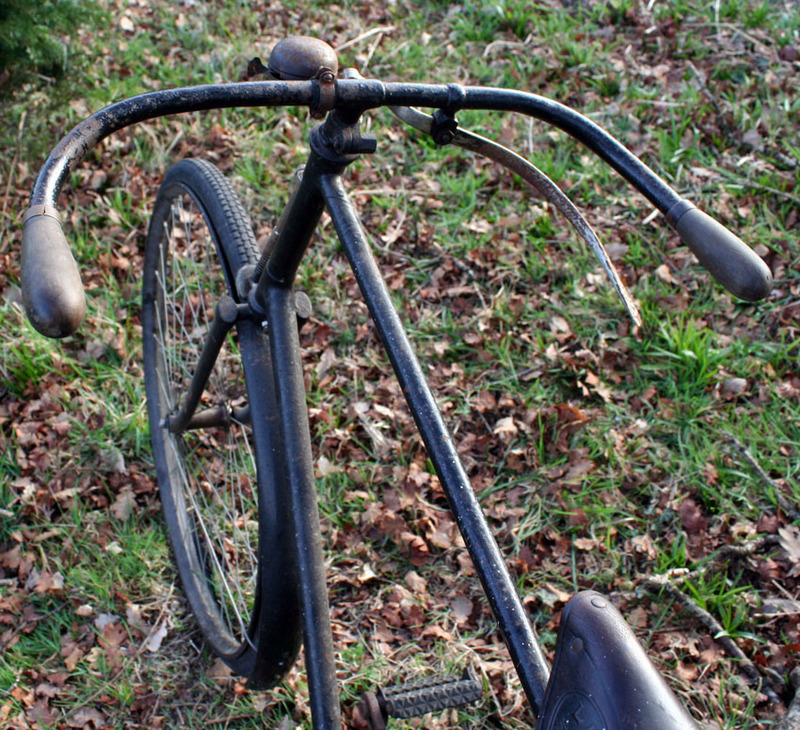 I can ride it comfortably with the saddle post higher. 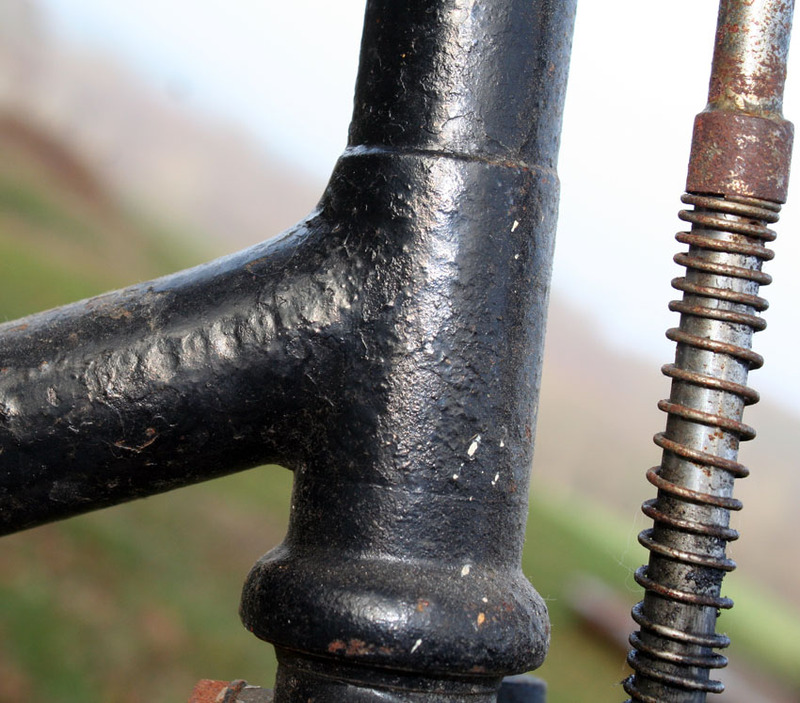 Being an ‘upsloper’ means it’s easier to get your leg over the crossbar. 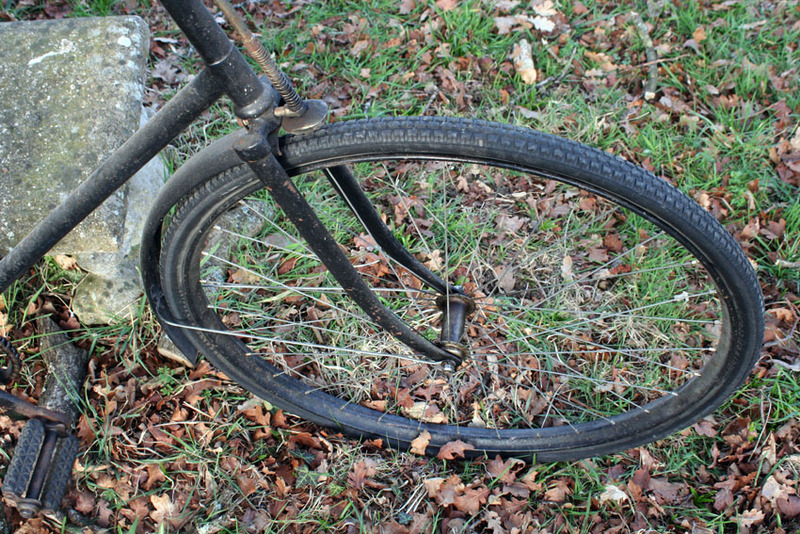 WHEELS & TYRES: Single-tube tyres are no longer available. 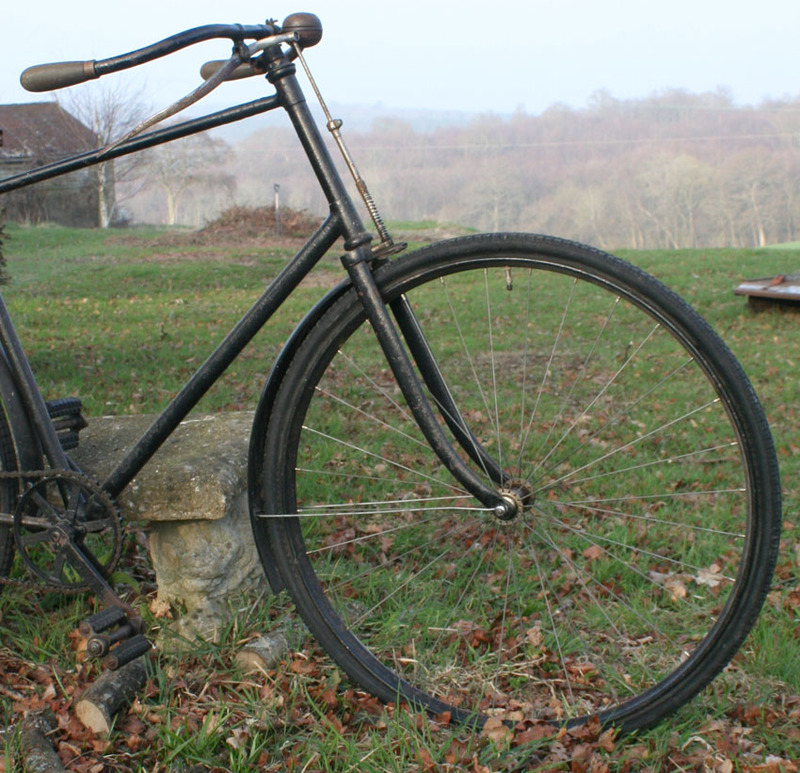 Original ones, being over 100 years old, are only suitable for display purposes rather than riding. 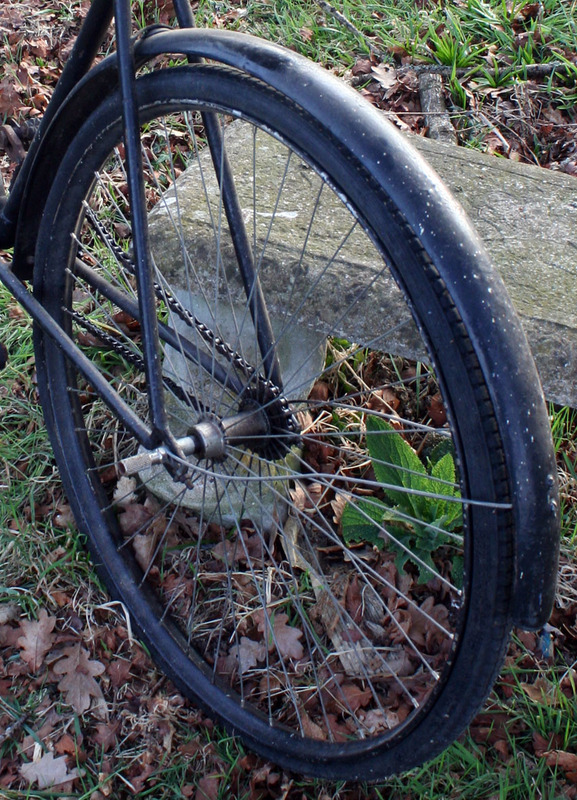 So my friend rebuilt the wheels so that modern pneumatic tyres can be used. 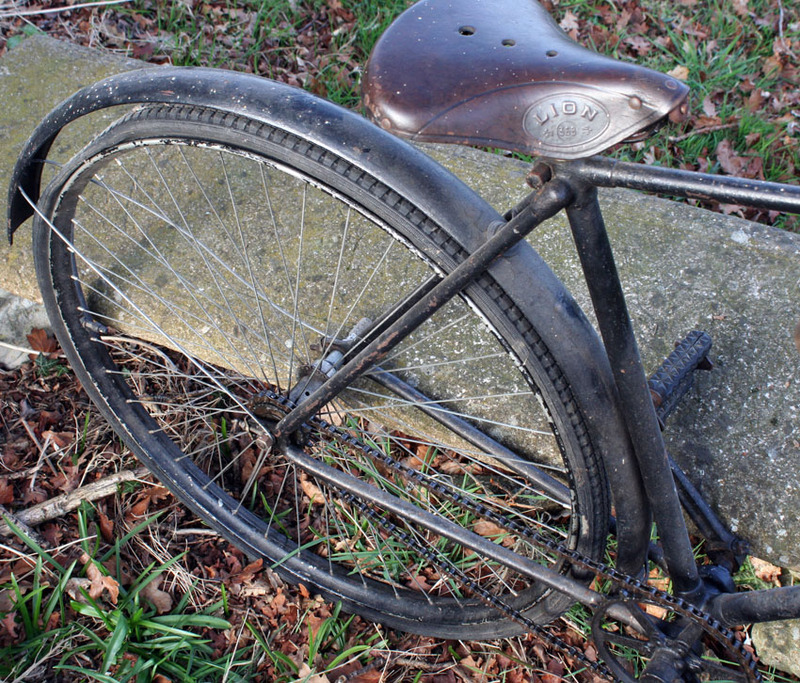 I will advertise this Peugeot for sale, and I’ll supply a pair of new old-style 28 x 1 1/2 tyres and inner tubes with it. 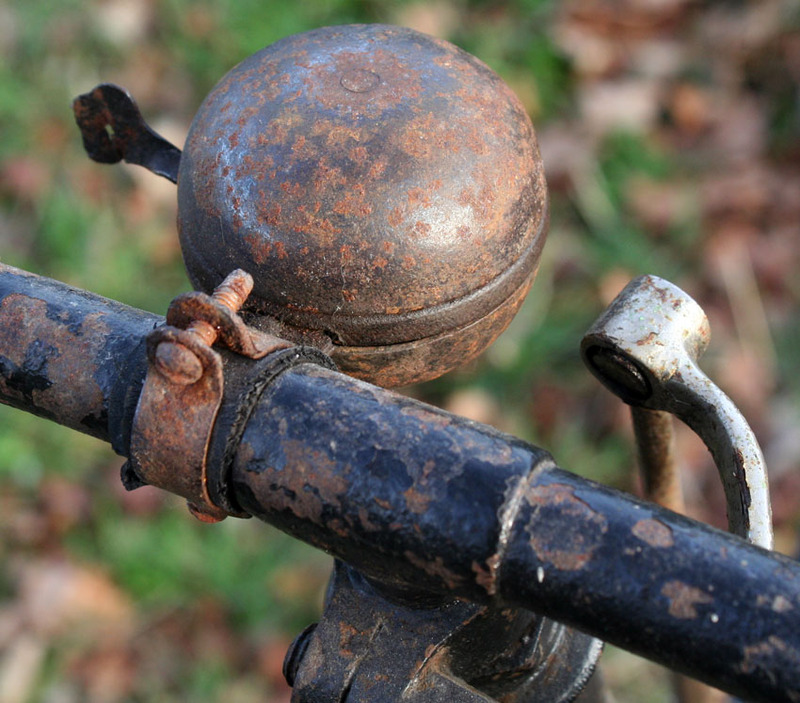 This Peugeot is very well preserved. 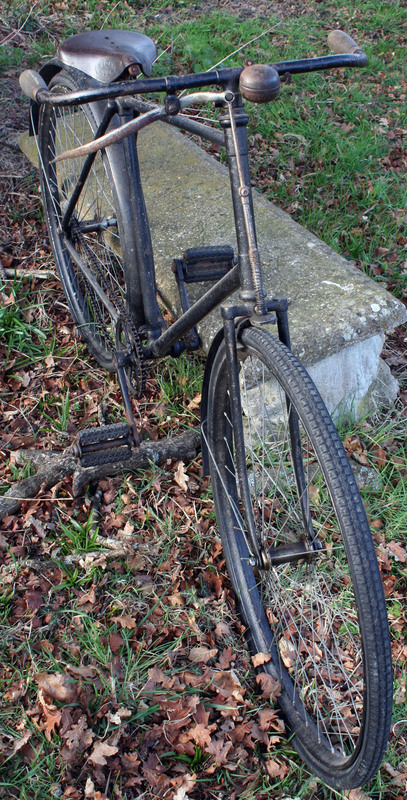 It’s interesting that it has mudguards; although they were featured in catalogues of the time, they were usually discarded by riders because they added to the weight of a bicycle – remember that bicycles of this era were fixed-wheel machines, so this Peugeot would have originally had to be pushed uphill, and ridden slowly downhill. 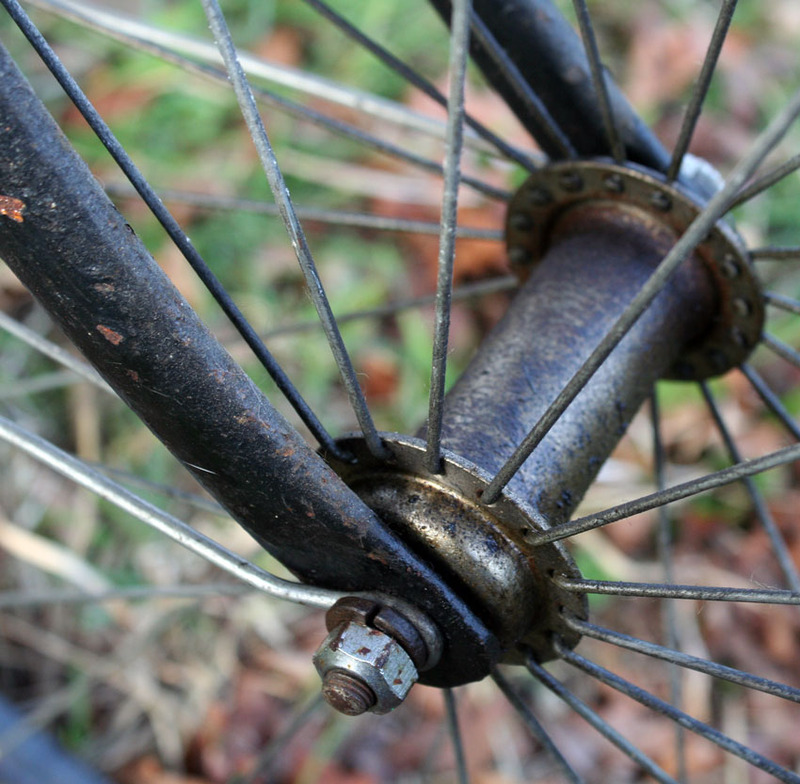 My friend also installed a freewheel hub, so no uphill pushing is required! 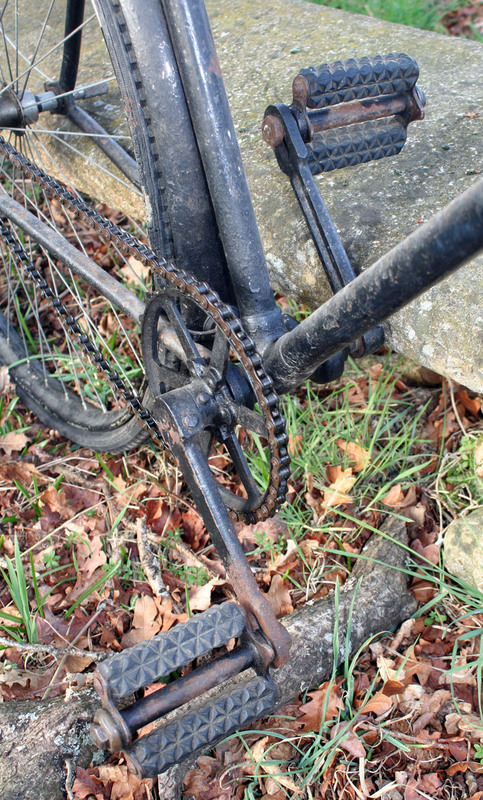 This is therefore a very practical machine for riding. 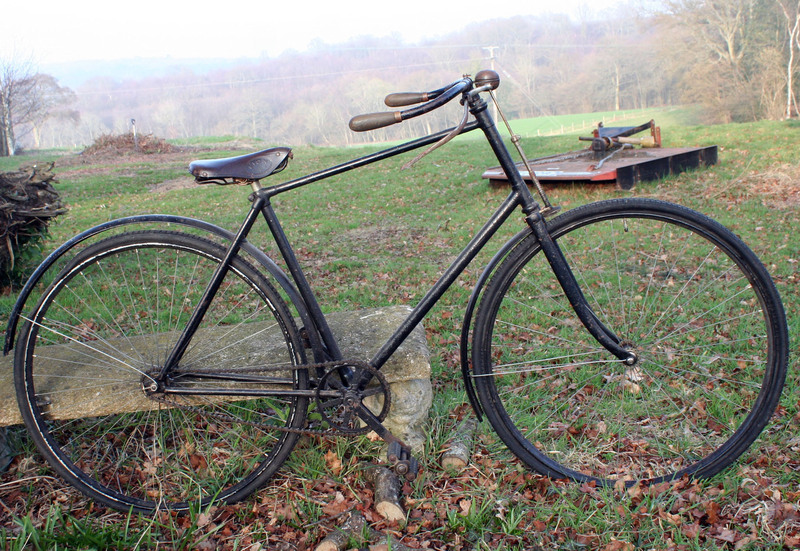 1895 was the final year of the ‘upsloper’ style of bicycle; in the following year a lightweight diamond frame was introduced, which meant that upslopers would soon become obsolete. 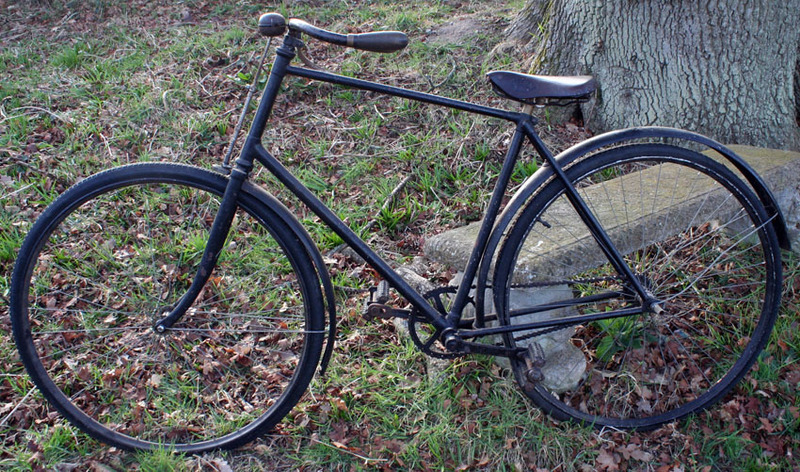 So, in 1896, many of the larger bicycle manufacturers sold their stock of this style of bike as fast as they could at discount prices. 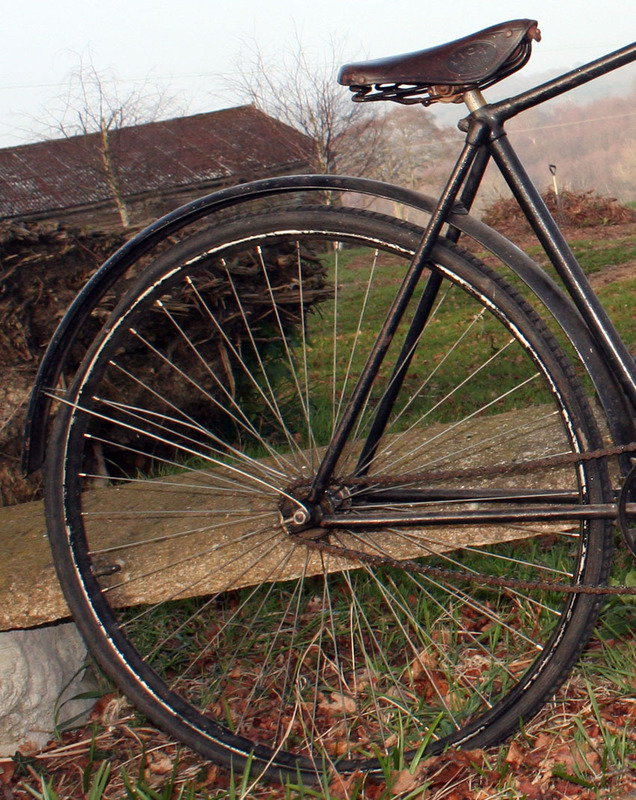 However, not everyone would have been aware of the latest developments in bicycle design. 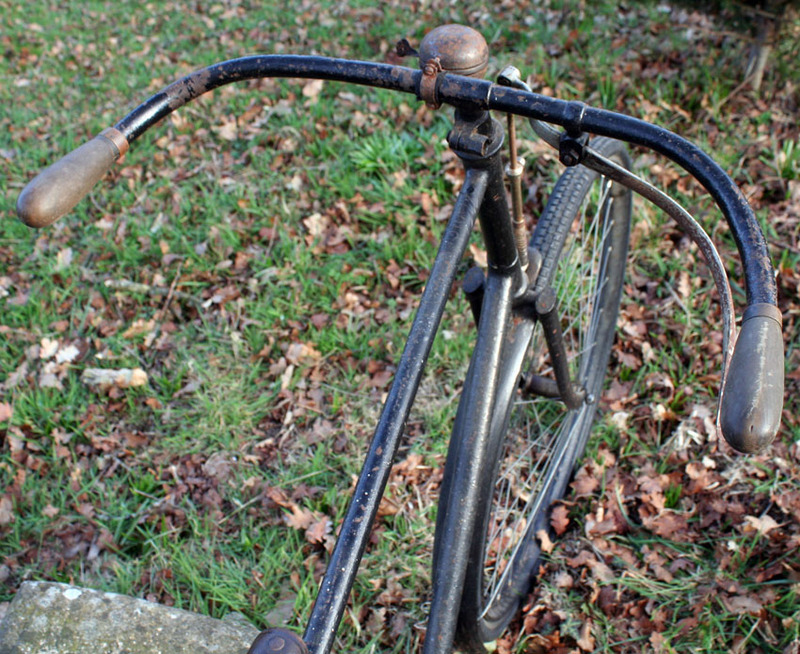 Richer cycle enthusiasts who lived in cities would have been aware of new bicycle fashions and styles, but in rural areas news did not travel so fast and, in this era, newspapers did not provide many articles on cycling. 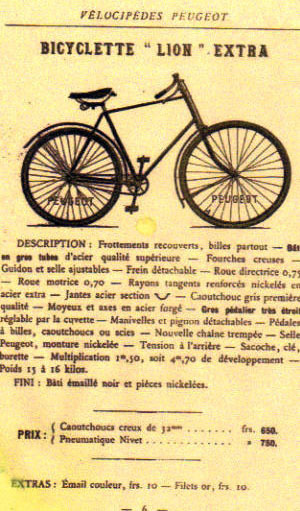 So another strategy, favoured by Peugeot and other French companies, was to establish many more shops around the country, where they could still market the older style of bicycle for the local population. 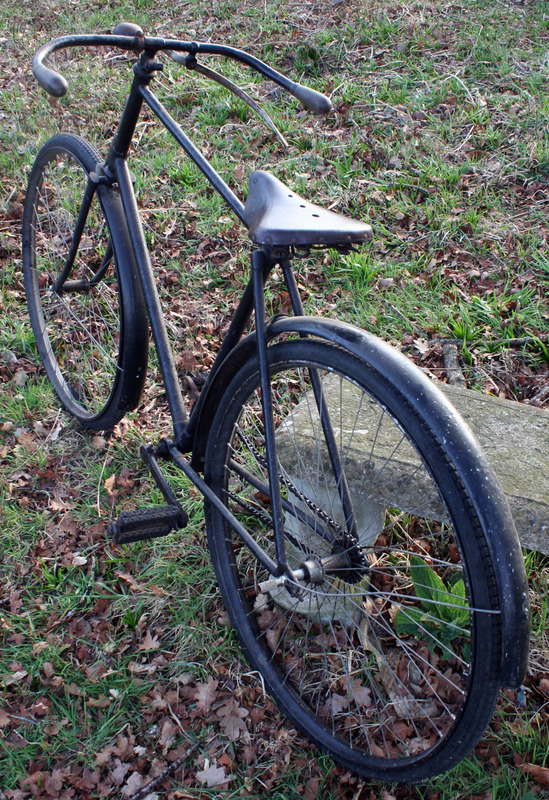 In Great Britain, manufacturers had similar issues as styles became outdated, but British companies solved the problem by exporting such models to the Commonwealth countries. 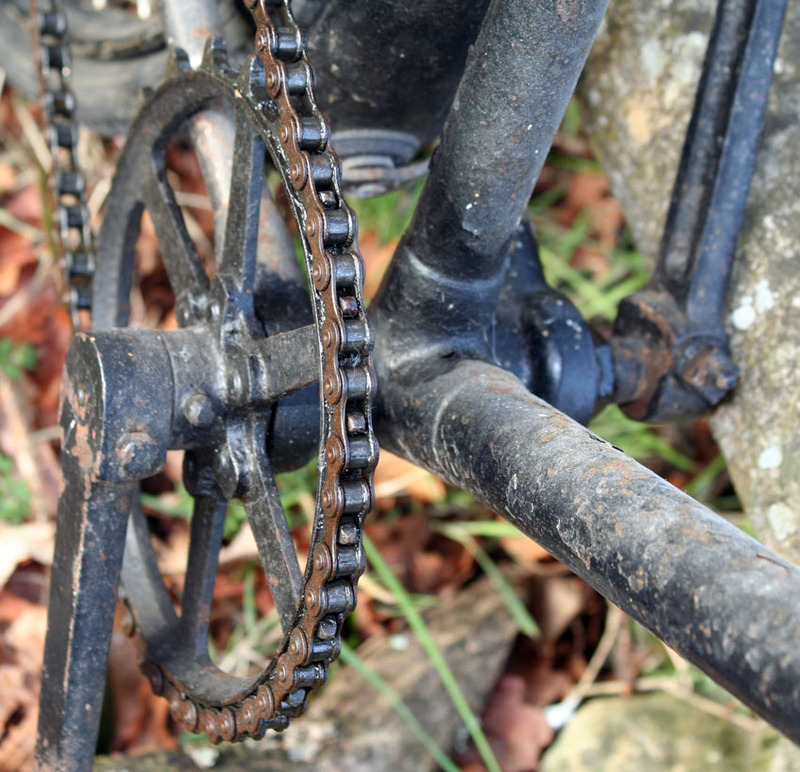 Year by year through the 1890s, bicycle frame design evolved until, in 1896, the diamond frame with which we are familiar today became the dominant style. 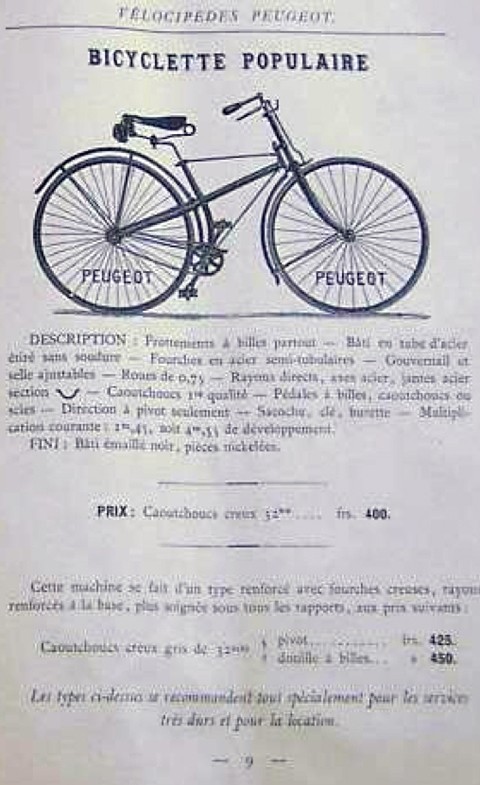 According to the Peugeot company website, in the early 1890s the catalogue illustrated 32 models, and they manufactured around 10,000 machines a year. 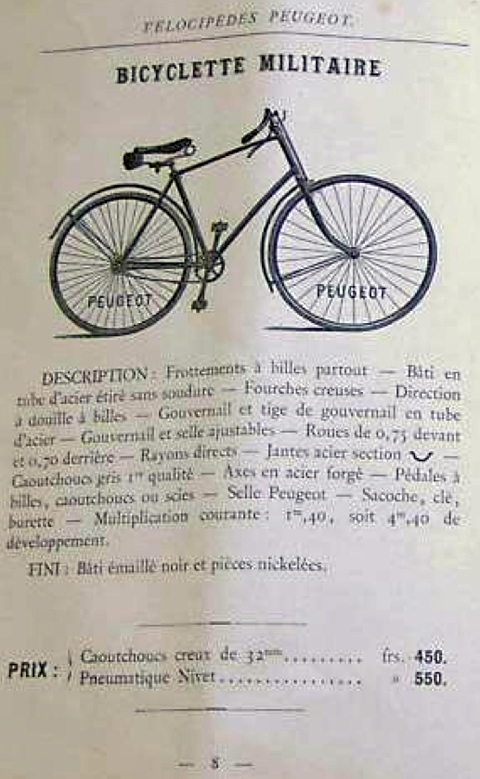 As you can see from these 1894 Peugeot catalogue illustrations, the ‘Militaire’ model (above) was essentially the style we’d describe in Britain as an 1893/1894 ‘upsloper’ safety, while the Populaire model (below) was the previous style of safety prevalent in 1891/1892.